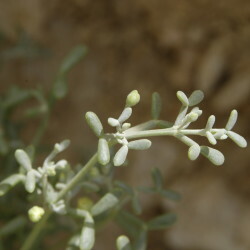 Zygophyllum coccineum has the Arabic names humaz, batbat and r’utrit. Its area of distribution is the northern and central Arabian peninsula, Egypt, the Middle East, western Asia, and Pakistan. 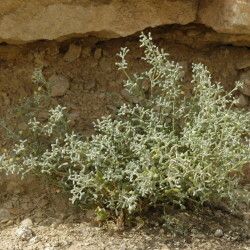 It is a small desert shrub growing to between 50 and 75 cm high. 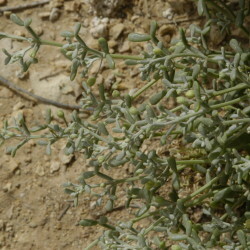 The plant is a succulent (cacti type). 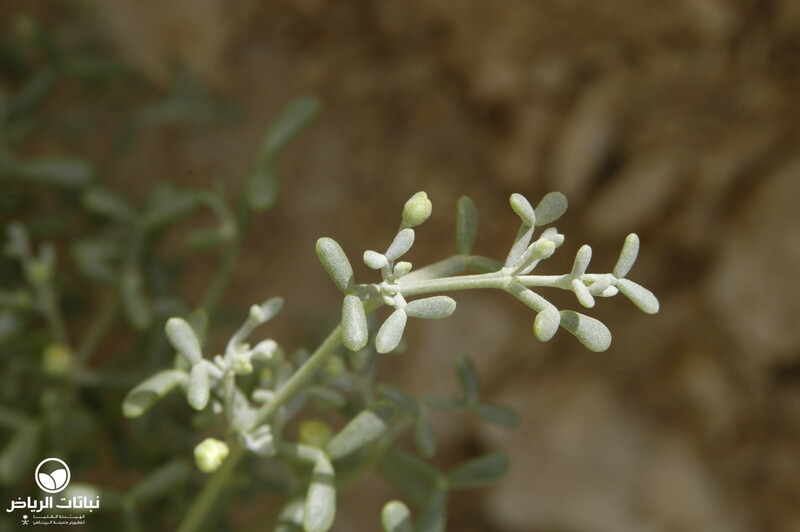 It has a shape like a dwarf shrub, prostrating and irregular. 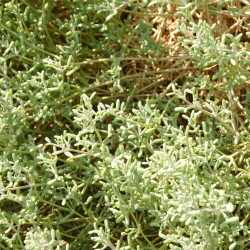 The evergreen foliage is olive-green to silvery green, and the succulent leaves are opposite and tomentose. 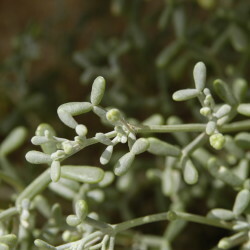 The tiny, delicate, yellow flowers appear in winter and spring, and have long stamens. 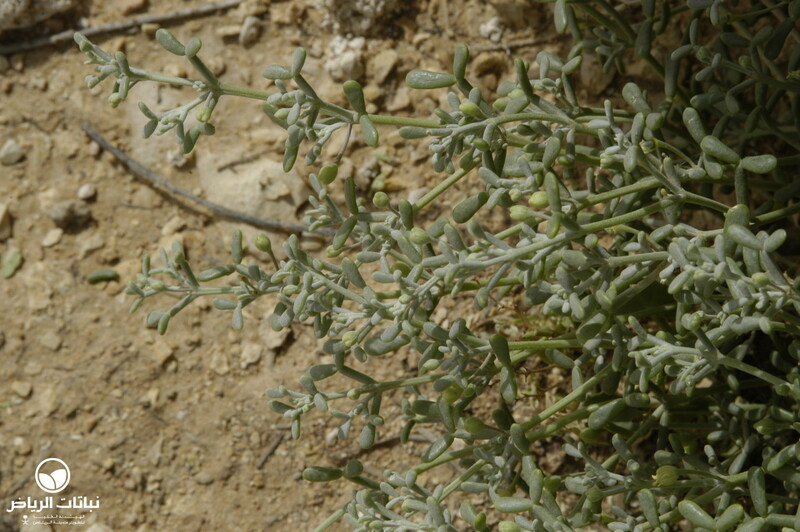 The fruits are egg-shaped capsules 2 mm in size. Propagation is best done by seeds. 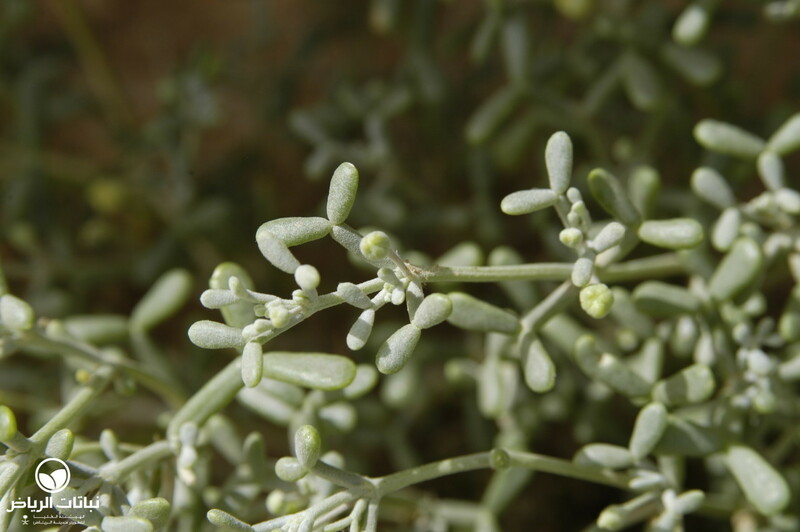 Z. coccineum has tap roots, grows on sandy, silty soil and is highly salt-tolerant. 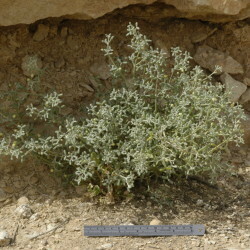 It can be used as a groundcover or grouped plant in natural design themes such as rock or steppe gardens, and can be found very often on abandoned land and in open country surrounding Arriyadh. 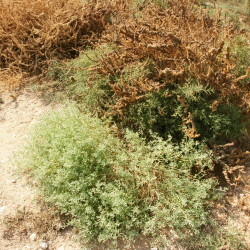 As a native, it needs no maintenance and is highly recommended for the rehabilitation of natural plant cover. 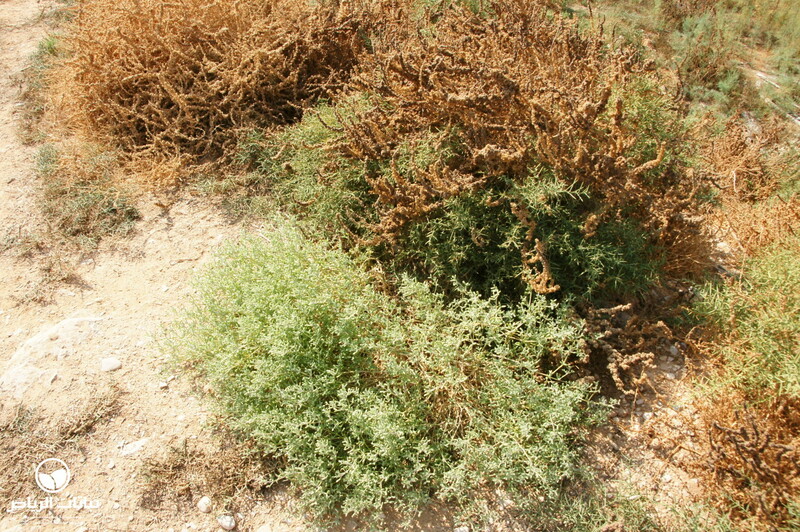 It is valuable in seed mixtures together with other native shrubs for renaturalisation projects. 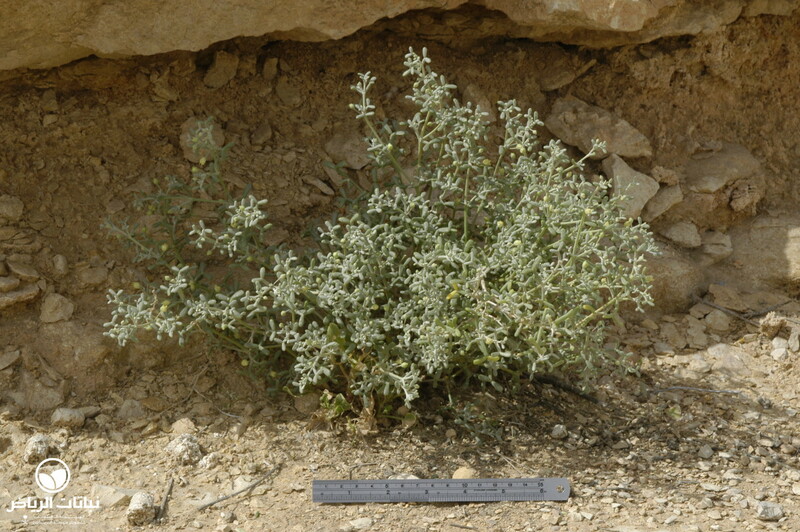 It is useful in open country as a coloniser and for hillside planting, slope stabilisation and environmental consolidation. 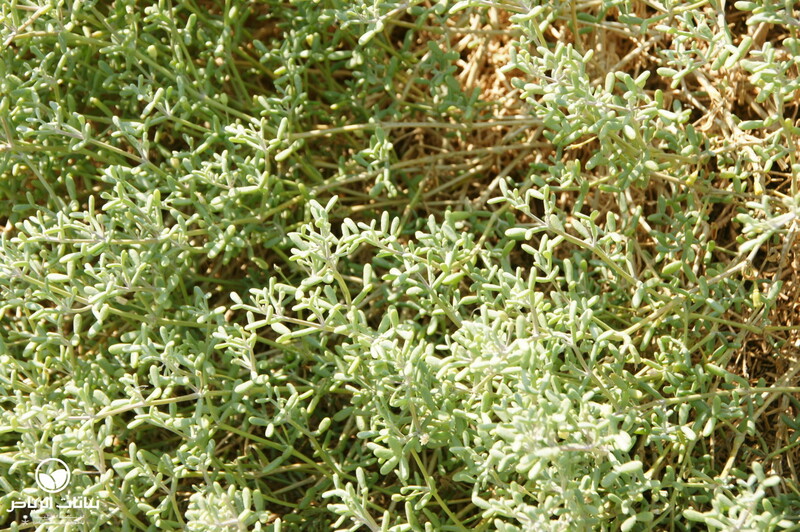 Another bonus is that humaz is not grazed by animals. 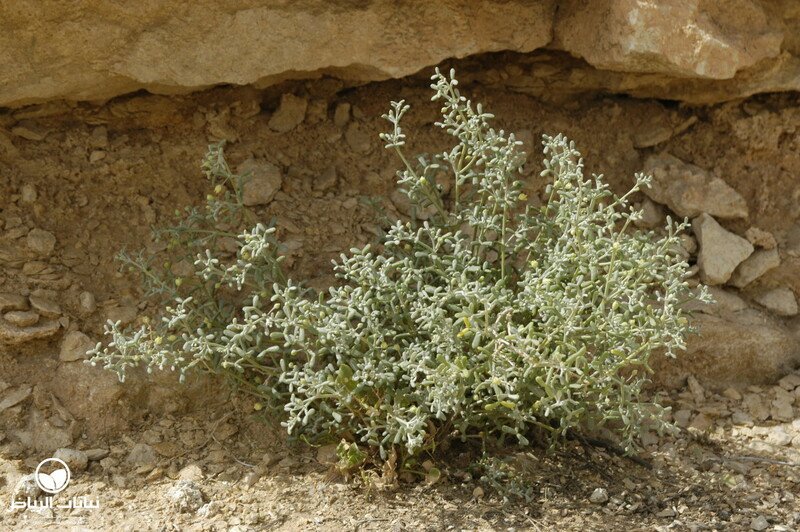 It is also recommended for natural design themes, such as in Wadi Hanifah, where it can be found already, having propagated by self-seeding.